This Mondrian-inspired sculpture measures 65'' tall. It is made of steel and painted in black and silver. 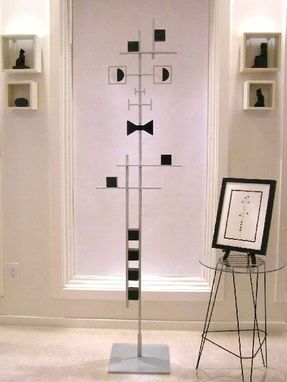 It is an abstract sculpture of a man with a bowtie. 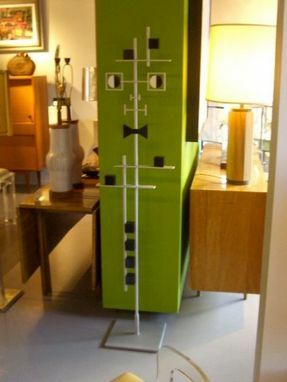 This is a great addition to modern-themed homes.